INGSA-Asia is a Regional Chapter of the International Network for Government Science Advice and exists to enable greater information dissemination and access in Asia and foster science advice capacity in the region by raising awareness, supporting training and encouraging operational research on advisory principles, processes and practices in Asia. Besides building the regional and inter-regional networks of science advice practitioners, the Chapter acts as a support mechanism for policy makers within the region and encourages outreach to help increase the demand for science advice by policy makers. INGSA-Asia will be organising and undertaking workshop, offering awards for regional engagement as well as engaging with opportunities in the region to augment and amplify the development of science advice mechanism. To see what opportunities are available to get involved, see the INGSA-Asia Activities page. 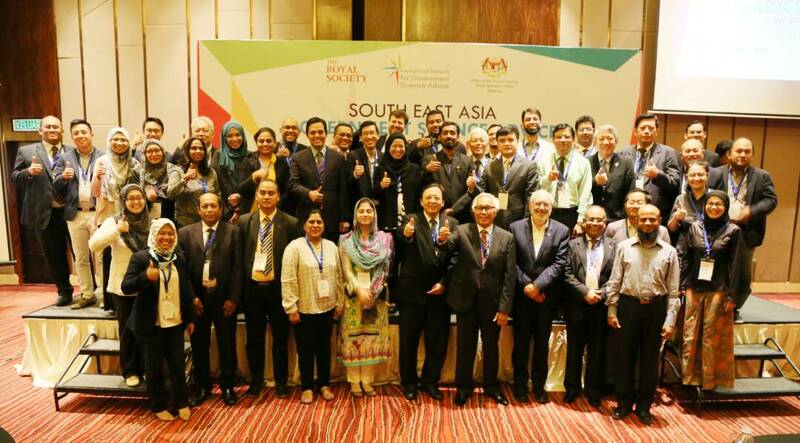 Operating out from the office of the International Science Council for Asia and the Pacific in Kuala Lumpur, Malaysia, the Asia Chapter promotes a robust Asian science advice ecosystem and provides regional input into INGSA’s global activities, annual work plan and strategy. INGSA-Asia is guided by a Steering Committee that determines work-plans, regional strategy and implementation. The INGSA-Asia Steering Committee members were appointed by INGSA. Abhi Veerakumarasivam (Chair) – Abhi is a Professor of Genetics at the Institute for Healthcare Development, Sunway University, Malaysia. He is also currently the Chairman of the Young Scientists Network – Academy of Sciences Malaysia (YSN – ASM). He sits on many national and regional committees and studies that support the promotion of science. Hammad Mehmood Cheema – Hammad is currently the Head of Department at the Research Institute for Microwave and Millimeter-Wave Studies, National University of Sciences and Technology (NUST), Islamabad, Pakistan. He also provides scientific advice to the Ministry of Science and Technology, Ministry of Information Technology and also the Higher Education Commission, Pakistan. Kavita Shah – Kavita is the Director of the Institute of Environment and Sustainable Development (IESD) and a Professor of Environmental Science at the Banaras Hindu University, India. She has been actively involved with community and has been part of the decision-making bodies of the Government of India for many important projects. Md. Sarwar Jahan – Sarwar is the Chief Scientific Officer and Director of the Bangladesh Council of Scientific and Industrial Research (BCSIR). He assists the Government in adopting initiatives pertaining to science policy and scientists’ “Individual Action Plan” to promote science in Bangladesh. Nguyen Truong Thang – Nguyen is a Chief Consultant for some ICT projects of the Vietnam Government Office and the Prime Minister. He was recently appointed as Head of the Department of ICT at the Graduate University of Science and Technology (GUST), Vietnam. Silap Boupha – Silap is the Advisor to the Ministers at the Ministry of Science and Technology, Lao P. D. R. on matters of science, technology and innovation, including ASEAN Affairs and geo-space Technology and Applications. He obtained his PhD degree in satellite technology systems. Vanny Narita – Vanny is currently attached at the Indonesian Academy of Sciences as a study committee member on Biodiversity. She was previously a government-led Innovation Program Specialist, National Innovation Council of the Republic of Indonesia. Farah Ismail – Farah is the Regional Programme Officer of the INGSA-Asia Secretariat. She is based in Malaysia. For more information on local workshops/awards/opportunities, or to get involved with INGSA-Asia, see the Activities page.